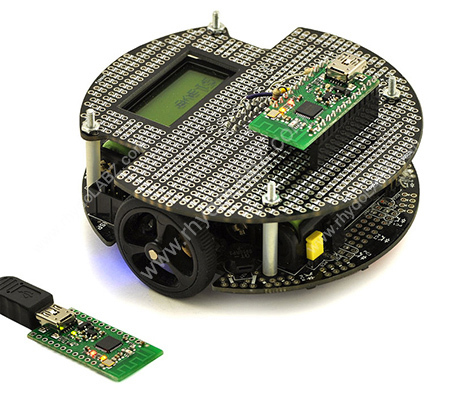 Description: The Pololu Wixel is a general-purpose programmable module featuring a 2.4 GHz radio and USB. 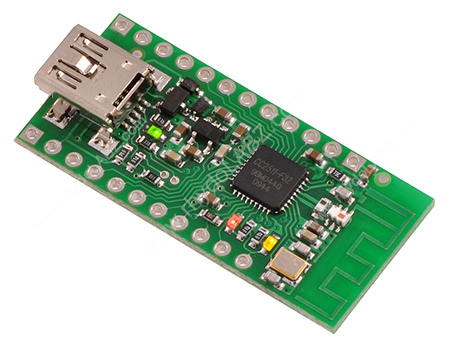 You can write your own software or load precompiled, open-source apps onto the TI CC2511F32 microcontroller at the heart of the Wixel, turning it into a wireless serial link, data logger, or whatever you need for your current project. With 29 KB of available flash and 4 KB of RAM, the Wixel is even suitable as the main controller for a robot or other system. This version ships 0.1" male header pins included but not soldered in, allowing for custom installations. The Wixel features a built-in USB bootloader that can be used in conjunction with free Wixel Configuration Utility software to upload custom programs or precompiled, open-source apps to the Wixel (no external programmer is required). No programming experience or compiler software is required to use these apps: simply download a different app to reuse the Wixel in your next project!